New tools for enhancing utility preparedness and response. Michael Beck is the founder and managing director of MJ Beck Consulting, LLC. Seth Guikema is an assistant professor in the Department of Geography and Environmental Engineering at Johns Hopkins University, with joint appointments in civil engineering and Earth and planetary sciences. Ken Buckstaff is the managing director of First Quartile Consulting, where he leads the utility benchmarking and consulting practice. Steven Quiring is an associate professor in the Department of Geography at Texas A&M University, focusing on hydroclimatology, drought monitoring and prediction, and modeling the impact of hurricanes on infrastructure systems. Extreme weather events aren’t new. 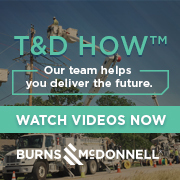 Utilities, first responders, and government agencies have extensive experience in dealing with weather-related disasters. Usually, the response is effective and, in many cases, might be characterized as heroic. But for a variety of reasons, including increasing population density (i.e., affected customers), security concerns, ballooning damage assessments (e.g., Hurricane Katrina’s impact was estimated at $146 billion1), extended outages, and an economy and society ever more dependent on its energy infrastructure, utilities find themselves under heightened scrutiny with regard to their activities related to storm preparation and response. For example, along with post-Sandy cleanup, executives and managers at many utilities have been engaged with post-Sandy investigations, hearings, regulatory proceedings, and media response. While some of this scrutiny, unfortunately, is a search for the guilty, not all of it is so opportunistic. There are lessons to be learned, practices to be changed, modified or adopted, and new tools to be employed. Highly sophisticated storm outage modeling could be one of those tools.